Chelsea midfielder N'Golo Kante spent Saturday evening at a fan's house after missing his train to Paris. Kante was in action on Saturday afternoon, playing the entire 90 minutes as Maurizio Sarri's side came from a goal behind to win 4-1 at Stamford Bridge. The Frenchman had then planned to travel to Paris later that evening but missed his Eurostar train from London St Pancras. In an attempt to kill some time, the 27-year-old looked up the nearest mosque, where he met a group of fans who invited him back to their house for dinner. The World Cup winner ended up spending the evening at the house, joining the group of friends for a curry dinner before playing video games and watching his own performance on television highlights. The fortunate Twitter user @jahul999 said in his post: "World Cup winner, former Premier League player of the year, two-time Premiership winner casually joined us to watch MOTD after visiting a local mosque. "True definition of being humble. What a man." Kante gave up on catching a train to Paris by midnight and took a cab back home. 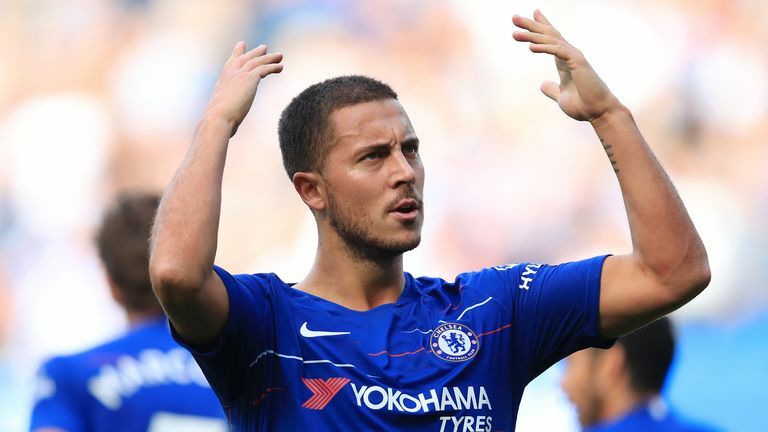 Chelsea travel to Greece to face PAOL Salonika in their first Europa League fixture of the season on Thursday evening before visiting the London Stadium to take on West Ham on Sunday, live on Sky Sports Premier League.